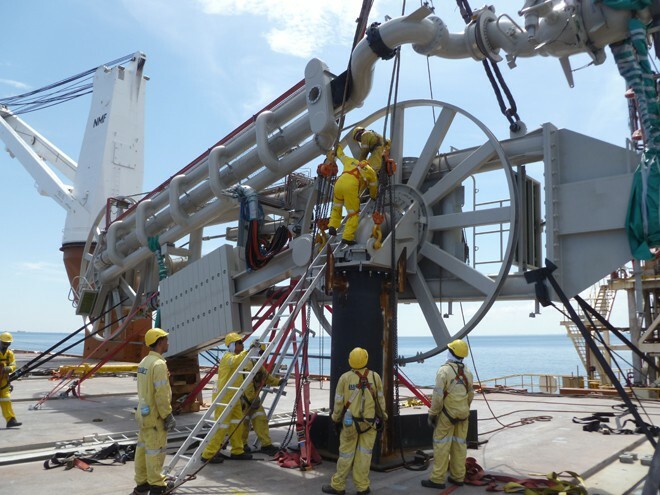 Active Heave Compensation (AHC) is the most modern heave compensation system in the market and is commonly used in offshore operations. 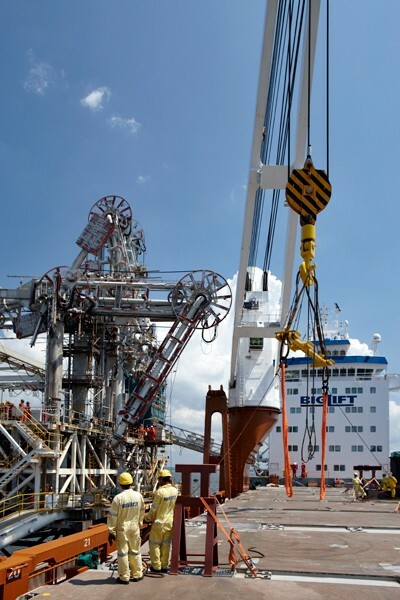 An AHC system uses motion sensors positioned onboard the installation vessel to provide input about the pull or slack of the hoisting winch of the crane. 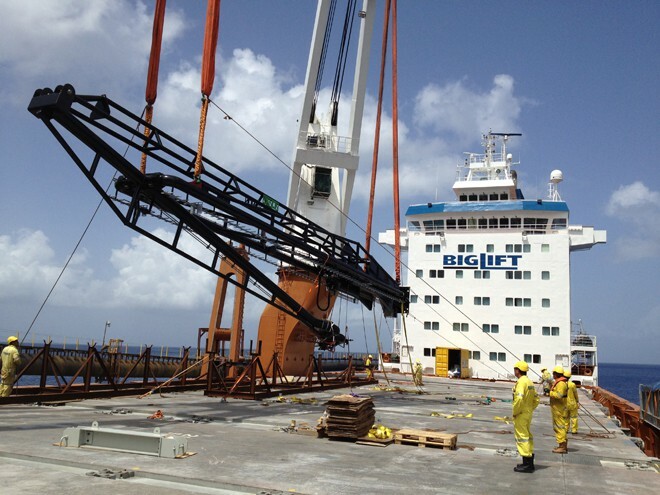 In the spring of 2012 BigLift was asked by the Dutch company Verwater to find a solution for the installation of two KANON loading arms on the jetty of the NuStar Terminal at St. Eustatius, a small, 21 square km volcanic island in the Caribbean. 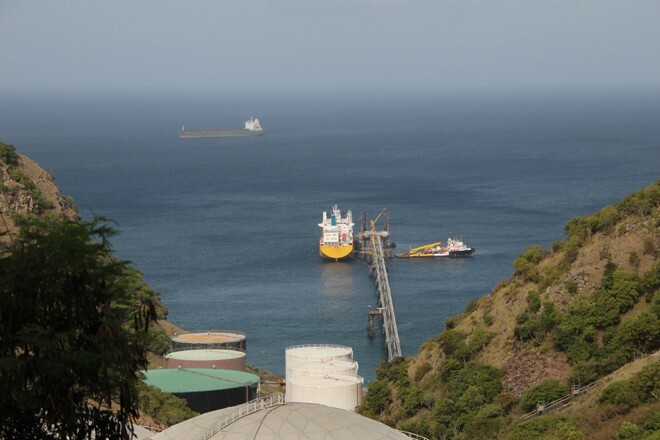 With the jetty jutting 900 metres out into the Caribbean Sea, about a metre of swell was expected during the installation. However, the bearings of the 22mt loading arms were not designed to take the impact load of a hard slam on the jetty caused by the vessel’s motions. BigLift therefore, needed to compensate for the vertical movement (heave) of the crane hook so the two loading arms could land gently. The design criteria for the AHC system had to be able to compensate for a swell of 1 metre within a wave period of 10 seconds. To achieve this compensation, a fast winch was vital. It was clear that the main hook capacity of 400mt to lift the 22mt loading arms was not needed. 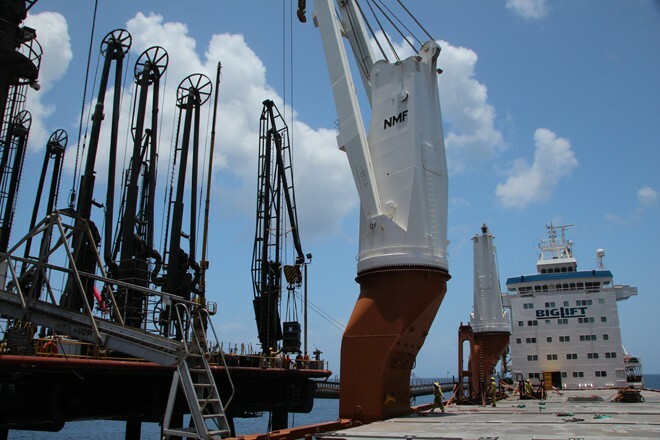 The idea emerged that an AHC system could be installed onto the much faster winch of the 50mt auxiliary hoist of the Happy-D vessels’ NMF cranes. While investigating this option, BigLift came into contact with the Norwegian AHC company SCANTROL, which could provide the AHC system for the vessel’s existing auxiliary hoist winch. A design team was formed very quickly and due to the combined efforts of NMF, SCANTROL, the Spliethoff (BigLift’s parent company) technical department, BigLift Engineering and the crew of m.v. Happy Dover, the AHC system worked perfectly on the ship. After a successful test at the NuStar Terminal jetty, witnessed by a Lloyd’s surveyor, m.v. Happy Dover landed the two loading arms smoothly on their foundations. This was in spite of installation swell conditions of an average of 40 cm and a peak of 90 cm and with m.v. Happy Dover rolling about 1.5 degrees. 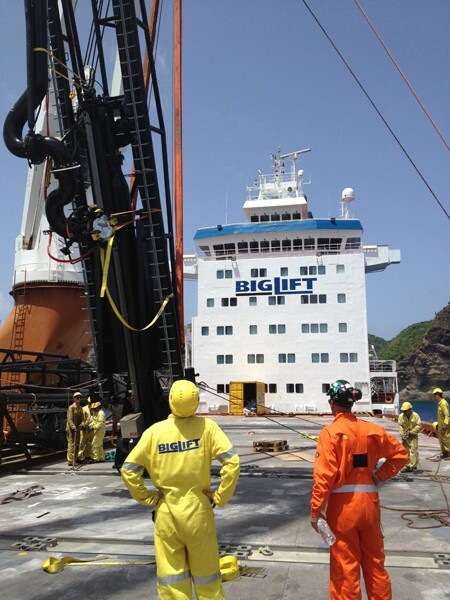 Without the AHC system BigLift would never have even have started the discharge operation. The horizontal movement of the loading arms was easily controlled by a guiding system around the foundation in combination with steering lines and chains. SCANTROL’s log system showed the heave compensation values and the working range, which was 30% of the total AHC capacity. The two KANON loading arms were added to six loading arms installed on the NuStar jetty previously. These loading arms were all installed using jack-ups, which is common practice where swells are likely. 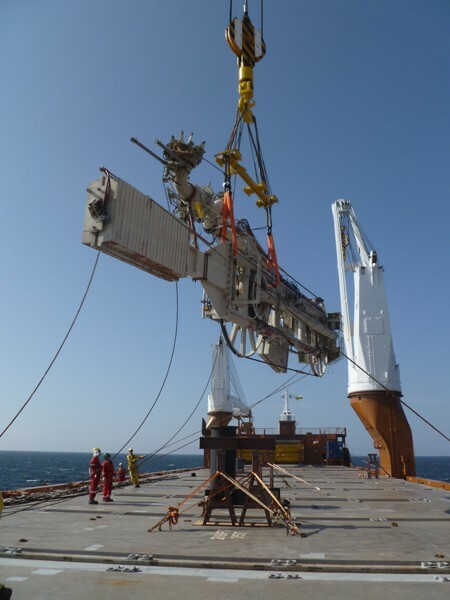 The successful BigLift installation of the loading arms in these conditions again raises the bar for future projects. 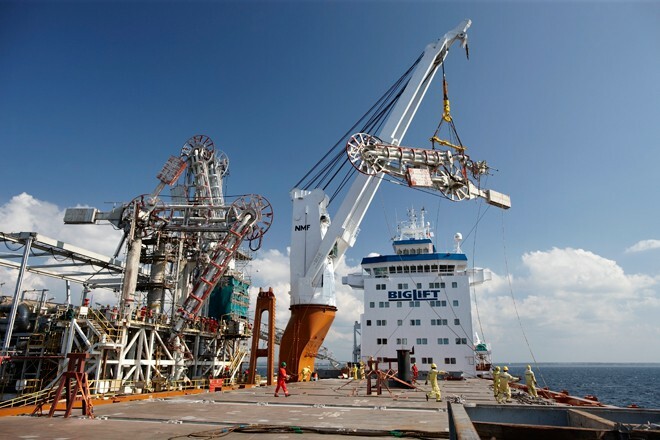 With the use of the AHC system on the Happy-D vessels, BigLift can now offer a very competitive installation solution as an alternative to the jack-up system. 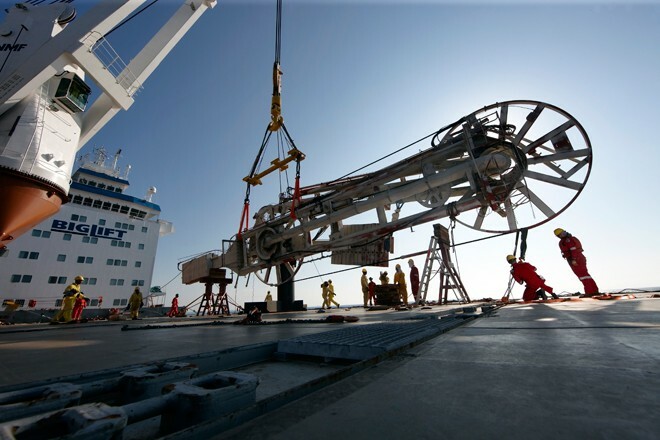 As the transportation vessel is also the installation vessel, the whole project requires less operation time and consequently, is much more cost efficient.